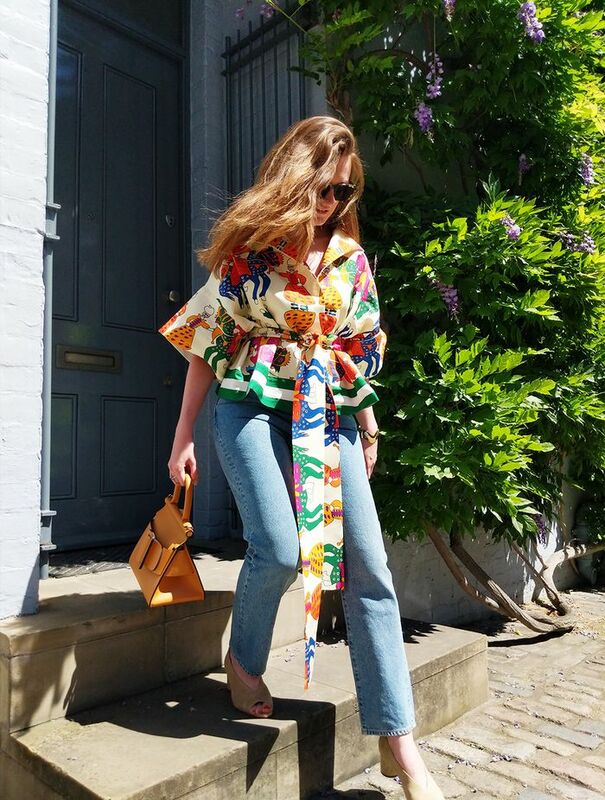 From this year's update on off-the-shoulder silhouettes to the one new hue we can all agree on as vital for any hot-weather wardrobe, all of the below trends and combinations come with our expert approval. We did all of the hard work (ha!) so you can spend more time just looking your very best. On Emma Spedding: Rianna + Nina Claudia Blouse (£660); Agmes Gold Vermeil Cuff (£760); Goldsign Benefit Jeans (£250); Boyy Karl 24 Bag (£924). On Emma Spedding: Rianna + Nina Claudia Blouse (£660); Goldsign Benefit Jeans (£250); Boyy Karl 24 Bag (£924). On Hannah Almassi: Rhode Resort Eva Balloon Sleeve Dress (£414). On Isabel Mundigo-Moore: MDS Tiered Eyelet Dress (£738); Jennifer Behr Buttercup Earrings (£300). On Isabel Mundigo-Moore: MDS Tiered Eyelet Dress (£738); Jennifer Behr Buttercup Earrings (£300); Axel Arigato Low-Top Sneakers (£16). On Isabel Mundigo-Moore: MDS Tiered Eyelet Dress (£738); Axel Arigato Low-Top Sneakers (£160). On Emma Spedding: Rebecca De Ravenel Talitha Blouse (£456); Lisa Marie Fernandez Diana Skirt (£492); Glorinha Paranagua Milano Bamboo Tote (£630); Veja Espar Sneakers (£90). On Hannah Almassi: Blazé Milano Resolute Blazer (£1764); ATM Top (£114); Proenza Schouler Flared Lace Pants (£1998); Alexandre Birman Clarita Kitten Heels (£435). On Hannah Almassi: Proenza Schouler Flared Lace Pants (£1998); Alexandre Birman Clarita Kitten Heels (£435). On Isabel Mundigo-Moore: Joanna Ortiz Cameroon Top (£738); Eve Denim Charlotte Jeans (£300); Mansur Gavriel Mini Folded Bag (£565). On Emma Spedding: Delpozo Bow-Embellished Dress (£1620); Cult Gaia Stella Tote (£228). 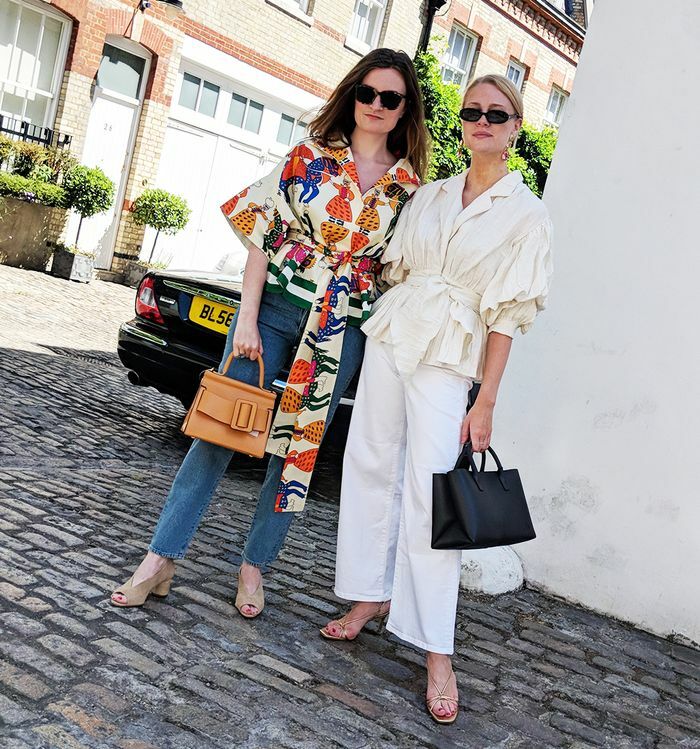 On Isabel Mundigo-Moore: Magda Butrym La Vienna Top (£738); Esme Vie Trousers (£792); Loewe Hammock Bag (£1525); Bally Janelle Slippers (£450); Roxanne Assoulin Hip Hop Earrings (£162). On Isabel Mundigo-Moore: Magda Butrym La Vienna Top (£738); Esme Vie Trousers (£792); Loewe Hammock Bag (£1525); Bally Janelle Slippers (£450). On Hannah Almassi: Miaou Kelly Top (£192) and Tommy Jeans (£342); Alexandre Birman Clarita Kitten Heels (£435).